Thoughts of spring break pop into college kids’ heads the day after New Year’s Day. Some of the prime locations for spring breakers include perennial favorites that have attracted college students for many years. Many of these locations count on a flock of students looking for a break from school to arrive every year as part of their local economy. Spring break is big business for the locations hosting the annual crowds and big fun for college students looking for some fun in the sun. This Mexican getaway has long been a spring break favorite. Margarita madness reigns supreme every March and April as students pack the beaches and clubs late into the next morning. 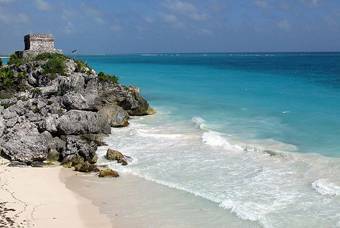 Take a ferry to Cozumel or a bus to Playa del Carmen if you’re looking for a more relaxing experience along sandy beaches with steady waves. Go for a swim or enjoy some snorkeling off the shore at Xel-Ha. Not into the nightlife? Take a trip to Tulum where lights are out at 10pm. Don’t forget your passport. Florida has long been the premiere spring beach destination within the United States. Miami and South Beach will be packed, but don’t underestimate Panama City and Panama City Beach. The weather is likely to be perfect as the action continues throughout the day and into the night. Add to that 27 miles of sandy beach and it’s easy to see why this is a prime location to put thoughts of school far into the back of your mind. Some of the clubs in the area attract some of the best DJs from around the country. The fun is non-stop, but you’ll still find more relaxed spots on the beach when you need to take a break from the partying. No passport required. Bordered by the Atlantic Ocean and Biscayne Bay, this is where you’ll find plenty of sand, surf and fun. Clubs run the gamut of themes from embracing the whole beach concept to honoring the area’s Latin culture. 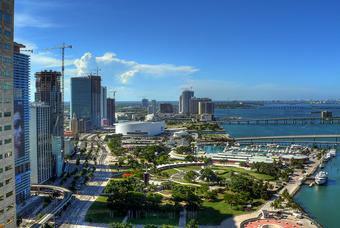 South Beach is the prime destination when it comes to restaurants and clubs, many combining elements of both. Some well-known bands tend to drop in to entertain spring break crowds. You’ll find everything from class to trash in every price range. As long as you’re in Florida, don’t forget to check out the action in Fort Lauderdale and Daytona Beach. It’s not quit as fast-paced in these locations, but still a decent way to wrap up the spring break experience. This resort on the Pacific Ocean’s Bahía de Banderas experiences an influx of spring breakers each year that more than double the area’s population. Beautiful beaches mix with the Mexican mountains with plenty of opportunities to relax on the beach or be a little more adventures and go for a hike or ride your bike along the many bike trails. Throw in a wide variety of area restaurants, shops and clubs and it’s easy to see why spring breakers won’t be disappointed with a visit here. As long as you’re in Mexico, why not make a stop in Acapulco? The beaches range from to quiet getaways to party central. For a little bit of culture, visit area villages. Texas style meets spring break rambunctiousness. South Padre Island has experienced a surge in popularity in recent years. Partly because you can have all the fun and sun you want in a location rich in Texas history with plenty of friendly locals ready to welcome you. Another perk is that prices aren’t too expensive. You can enjoy great meals in the evening, party at night and relax on the beach during the day and still have enough left over to buy some t-shirts or a Texas style hat as a memento of your stay here. 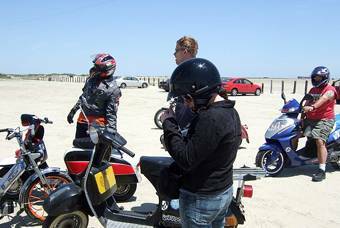 Don’t be surprised to see scooters everywhere along the beach, it’s the preferred mode of transportation for those looking to get around. There are plenty of places to enjoy a refreshing swim, do a little snorkeling or just work on your tan. Becky Harris the author of the “Top five spring break locations.” writes on a variety of subjects including moving with U-Pack, her employer and an ABF company.